These Upright Cat Scratchers are manufactured using high quality cat-safe materials. The Scratching Post pole is solid wood wrapped tightly with durable, pure sisal rope and capped with a carpet top. No particle board or cardboard! The extra wide 17 inch square base is heavy-weight plywood covered with thick residential-grade carpet providing extra stability for your active kitty. 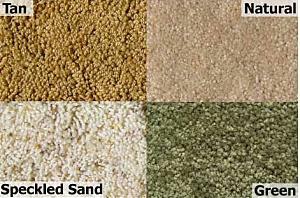 Available in three sizes: 20", 24″ and 30″ high; and four carpet choices. Made in the USA. Shipping within 48 contiguous US states: $37 for the 20″ post, $44 for the 24″ and 30″ posts.